Juan Estadella learned astrology since 1988 from Adolfo Roca, his master in this discipline. Since 1992, he has been a consultant and professor of astrology. He has written and published various astrology books in different publishing companies (4 of them together with the uruguayan author Boris Cristoff). He is the author of research articles published in some of the most important astrology magazines: Considerations (USA), Aspects (USA), Linguaggio Astrale (Italy), Realta (Ireland), Vlaams (Belgium), The Astrological Journal (England), Mercurio-3 (Spain), Medium Coeli (Argentina), FAA Journal (Australia) among others. He is the author of El horoscopo de Quevedo, published by the Fundación Francisco de Quevedo in 2010. He is a regular speaker at national and international conferences. He also offers astrology seminars in Spain, Argentina, Chile, Mexico, Venezuela, Columbia, Brazil, Puerto Rico, Ecuador, Cuba, Paraguay, Russia, Australia as well as other countries. President of the Astrological Association of Catalonia (1998-2000) and Director of the bulletin / magazine Cyklos, of the ADAC (1998-2000). Member of thejury in the I Premio Internacional a la Excelencia Astrológica del 5º Congreso de Cosmovisión (Buenos Aires, Argentina). Member of thejury of the Premio Mundial de Investigación 2005 of Gracentro (X Jornadas Mundiales de Astrología en Valencia, Spain). Member of the selection committee for speakers of the XXII Congreso Ibérico de Astrología (Bilbao, España). Creator of the astrological library Biblioteca Astrológica de Juan Estadella y Gerardo Sánchez, donated to the National Library of Catalonia (Biblioteca Nacional de Cataluña). Organizer of workshops and astrology conferences. Member of the organizing committee and Technical Director of the Astrology Congress Barcelona 2002, taken place in Barcelona (Spain) at the headquarters of the CIDOB in 2002. Founding member of the Spanish Society of Astrology SEA (Sociedad Española de Astrología). Founding member and publisher of the cultural astrology magazine Beroso. Founding member of the Escuela de Traductores de la ADAC. Former member of the The Astrological Association of Great Britain. Former member of the ISAR. Publisher of astrology books (E/F Ediciones). Translator, writer and collaborator of the astrology magazine Mercurio-3. Regular collaborator at diverse periodic publications (Revista MC, published by Mario Conde, the banker, among others) and guest collaborator at other periodic publications (Año Cero, among others). 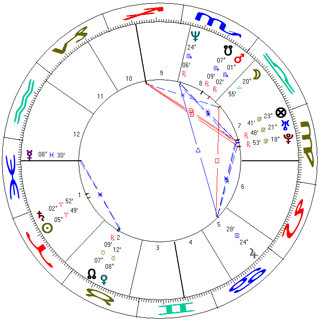 Author of numerous correct astrological predictions: Clinton’s affaire (1998), 2nd Gulf War (1998), Indonesia (1998), Peace agreement in Kosovo (1999), Al Gore’s losing of the presidential elections of the U.S.A. (2000), Economic recovery / stock market 2003 (2003), Re-election of George W. Bush in the USA elections 2004 (2004), recent changes in Cuba (2006), the election of Barack Obama (2008) and the re-election of Benjamin Netanyahu (2013), among other certified predictions.Hehas been interviewed by numerous media outlets (press, radio, television, Internet) of different countries. Currently, his main activity is to write and spread astrology through his books, conferences and travels, occasionally advising some businesses and individuals. 1. Mention of Honor at Gracentro, the II Edition of the World Prize for Astrological Research in Valencia (Spain), 2002. 2. The Gloria de Pubill prize for the best article published in 2001 in the astrology magazine Mercurio-3 (Barcelona, Spain), 2002. 3. The Primer Premio-Diploma a la Excelencia prize. I Congreso Mundial de Cosmobiología (Arequipa, Perú), 2008. 4. 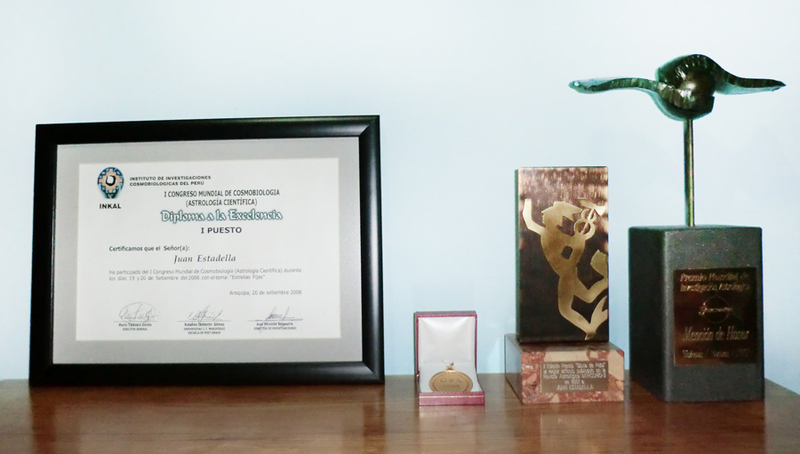 The Premio a la Excelencia Astrológica prize. Gente de Astrología-GeA (Buenos Aires, Argentina), 2009.